RCI Radiator and Duct mounted type load banks are innovative low cost systems, ideal for portable generators or where space is restricted for conventional stand-alone load banks. The universal “INSERT” design of RCI series load banks does away with customisation and the need to install the load bank during the erection of ductwork or genset packaging. 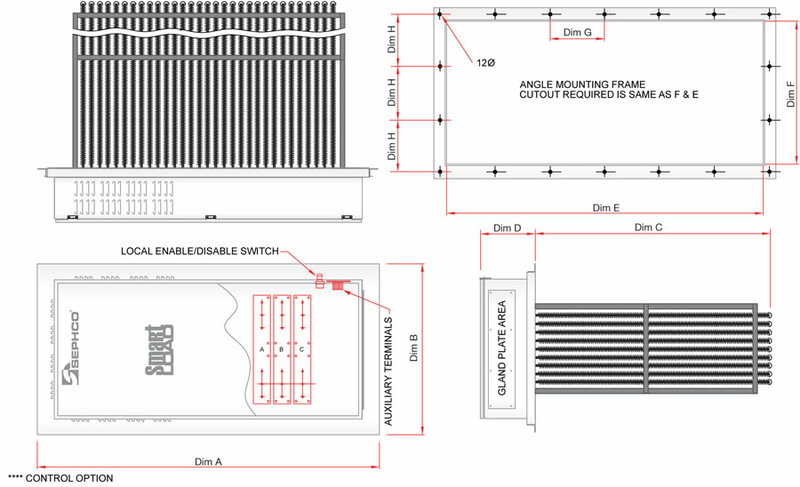 By simply inserting into the radiator exhaust duct or inserting into a radiator flanged adaptor, the “INSERT” load bank can be retro fitted at any time in new or existing installations. The units incorporate a series of load stages, made up of immersion proof and vibration proof stainless steel resistor elements, supported by a galvanised steel frame. Units are made up complete with an adaptor mounting flange which, only require bolting in position. Available in a range of sizes from 25kW to 1000kW, the units are fully wired and fitted with load stage contactors and associated circuit breaker for each load step.Safety features include high temperature trip thermostats. Choice of controls include locally mounted switch or digital display MC12PMB controller, locally fitted or remote or fully automatic load shedding type LSM800D, where the generator is severely under-loaded. The MC12PMB control panel is standard on all RCI…..MC portable type load banks. The control panel features a touch type keypad and LED load display, with simple operation of the load bank start up, kilowatt selection and load bank status. The unit automatically configures the load steps in the load bank to provide instant kilowatt response as selected by the Up/Down keys. Other features include load bank “system check” which prevents loading in the event of fan cooling failure, fan reversal or high temperature. Automatic fan cool-down period is applied when the fan stop or load dump is activated. This entry was posted in RCI TYPE. Bookmark the permalink.